Digital sensor medicines: the holy grail in adherence? 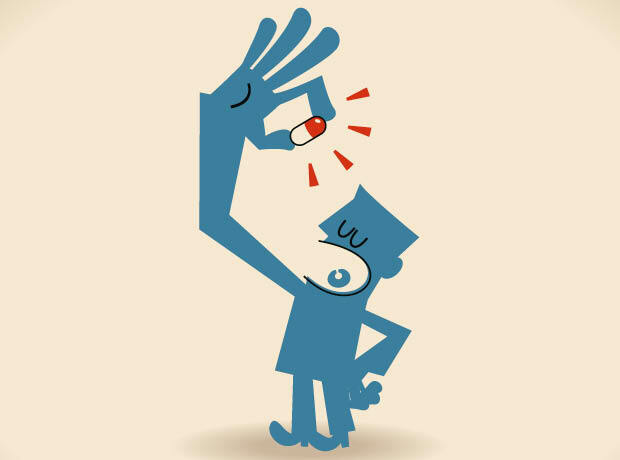 Will drugs that track adherence when ingested be a tough pill for patients to swallow? The pharmaceutical industry spends billions developing innovative medicines which will only improve the lives of patients if they take the medications as prescribed; using the correct dose, frequency and for the intended duration. The situation is particularly challenging for patients with chronic conditions who may need to take medications for the rest of their lives. The reasons for non-adherence are plentiful and these range from the patients ‘feeling better’ to the stigma of being diagnosed with an unwelcome disease. To improve adherence, companies spend millions designing programmes ranging from simple tools like patient diary cards to sophisticated ones like smartphone-based apps. So, what are the latest innovations to improve adherence and benefit patients’ lives, decrease the burden to society, and hence reward companies for their significant R&D investments. What’s the scale of non-adherence? Non-adherence rates of chronic diseases like hypertension and type 2 diabetes are in the region of 30 percent after one year of patients being started on medications. Psychiatry conditions like schizophrenia fare even worse, coming in around 60 percent. While the consequences of non-adherence for physical pathologies affect mainly the patients themselves, that is not the same for serious mental health conditions. Patients with schizophrenia are often in denial of their conditions and are often resistant to taking their prescribed medications. However, when they suffer acute episodes, the impact on themselves, their families and society are severe and at times calamitous, including social repercussions like homelessness, violence and suicide. In November 2017, the FDA approved the first drug in the US with a digital ingestion tracking system. Abilify MyCite is indicated for schizophrenia, bipolar disorder and depression. It contains the active ingredient aripiprazole and has an ingestible sensor embedded in the tablet. The sensor is the size of a grain of sand and is made up of edible ingredients. The sensor is activated when the tablet contacts stomach fluids and sends a message to a wearable patch, which in turn transmits the information to an app on the patient’s smartphone. The sensor is digested and eliminated from the gut in the usual manner. The system allows patients to keep track of their medications and they can also upload the information to a database for their physicians and carers to view via a web-based portal. In addition, the system can collect data on certain daily activities, including self-reported frame of mind, although this function is not approved by the FDA. The labelling also notes that the system’s ability to improve compliance has not been established and it takes between half to two hours before ingestion of a tablet is recorded. Aripiprazole is manufactured by Otsuka while the sensor technology is made by Proteus Digital Health. In the respiratory therapy area, Propeller Health’s technology uses a sensor device clipped onto an inhaler to track a patient’s adherence. It is compatible with the majority of maintenance and reliever inhalers for asthma and COPD, including metered-dose, dry-powder and soft-mist inhalers. The clip-on sensor records the inhaler’s actuation and the information is then transferred onto the patient’s smartphone. The app also gathers local environmental conditions like air quality, humidity and temperature, which helps patients to identify possible exacerbating factors and link this with any use of reliever inhalers, thus providing real-time insights. Their physicians can subsequently study the recorded medication patterns and use these to modify future treatments. These sensor technologies and apps can enable patients to feel empowered in managing their own conditions. Needless to say, there are numerous other sensor medicines in development besides the two aforementioned examples. With so much personal and medical information available on the internet via these platforms, what are the privacy and data security issues surrounding the use of digital sensors in medicines? An obvious risk of these systems is their susceptibility to hackers, resulting in the theft of sensitive medical records. However, one can argue that the level of risk is not dissimilar to the vast amount of data already held by hospitals, GP practices and private health insurers. A larger risk arises from legitimate organisations like private health insurers and perhaps healthcare providers themselves. Would insurers refuse a claim if they deem that a patient has been non-adherent with their prescribed medications? As it is, many insurers fail to pay out if their customers had omitted to declare all their medical conditions, even if these had nothing to do with the presenting claims. It would be very tempting for insurers to deny a claim should a patient be non-adherent for even a short period of time for one unrelated medication. Likewise, would healthcare providers insist on patients taking sensor medications and track not just their adherence patterns but record lifestyle activities as well? Would patients have a choice in taking a non-sensor version of medications? This may lead to a new conundrum of patients being monitored for compliance to sensor systems, i.e. not only would physicians be tracking adherence to medications but they would end up tracking compliance to the sensor system itself. However, a sensor system could easily be fooled, e.g. it would still record a positive adherence even if a patient chooses to spray an inhaler into the air. We would also need to ask who owns the data stored in the adherence systems? The patient, the digital sensor developer or the medicine manufacturer? Proteus and Otsuka have jointly declared that the data generated by their system belongs to the patients, although Otsuka would act as the data ‘custodians’. The patients maintain control over how the data is used, shared and retain the right to withdraw their own data at any time. However, it is uncertain if these principles will be universally accepted. The ultimate challenge is none of the above but the proverbial idiom of preaching to the converted. Such programmes are likely to be utilised by adherent patients rather than non-adherent ones for which they are intended. These systems are also dependent on patients being technologically savvy with the means to afford a smartphone connected 24/7. The patient demographics which will benefit most from these adherence programmes are those who are unlikely to use them, e.g. the poor, elderly, less educated and mentally unwell. Therein lies the challenge, to find ways to enable these people to use digital sensor technologies to improve their quality of life.